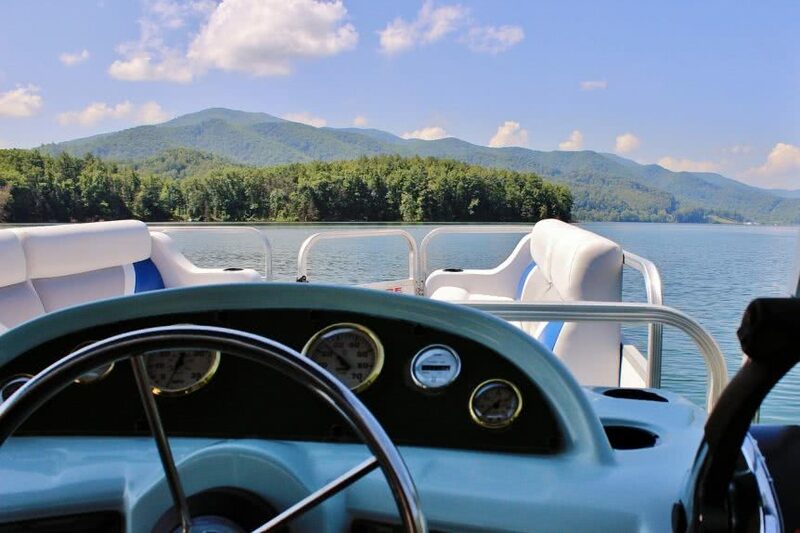 Naming your pontoon boat for some isn’t necessary however for many, including myself It’s a very important part of boat ownership. For me it’s one of my favourite parts of purchasing a new boat. It’s like naming a new pet, we name them because we know we’re going to take care of them for many years, providing them with love and having a lot of fun with them. It’s only right that you name your boat. Though, naming a boat isn’t always the easiest thing. Some names will just come naturally, whereas with others you’ll have to put a lot of thought into. 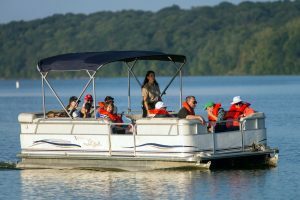 To help you name your pontoon boat, I’ll provide you with some tips and some great pontoon boat names. I’m a big fan of clever names, some are quite funny. Clever names usually involve a play on words, making for a very interesting name. Show off your intellect with a witty boat name. Here is a list of some pontoon boat names which I think are clever. I hope I’ve given you some inspiration on what you should name your boat. You could use a suggestion I’ve given you and add your own twist on it. The options you have are never-ending, you can literally name your boat anything you like. It doesn’t have to sound like a typical name, it can be whatever you want. None’s going to judge you for what you name your boat. There’s always a boat somewhere with a worst name than yours. However, there’s nothing worse than a boat without a name. Let me help you further with some tips on naming your boat. There’s no need to rush the name, you have all the time in the world. You don’t have to name it as soon as you buy it. If you rush anything in life, the result is always scuffed. It’s always better to take your time till you’ve come up with the perfect name which you’re more than satisfied with. Your boat deserves more than a rash decision for a name. You wouldn’t give your child a last second decision name, you’ll take your time and agree on a name with your partner. Put a lot of thought into your pontoon boats name. Make a list of some potential names and slowly narrow it down until you have the best name possible. Use as much inspiration possible. Another tip I’d give you is to keep your boat’s name nice and simple. Don’t over complicate it. It’s always nice for yourself and others to be able to pronounce your boats name correctly every time. I have a friend who gave their boat a French name which I’ve never been able to pronounce properly. Simple names are often catchier and easier to remember. Boats are historically names after women, it’s tradition. Why? None knows for sure however there are two hypothesizes for this. One being that boats were originally names after goddesses and mythical figures, which then shifted to feminine names being popular as the recognition of goddesses and gods faded away. You can find more on this subject here. Whatever you name your boat is completely up to you and It should be meaningful to you. It doesn’t matter what other people think of your boat’s name, it’s your possession not theirs. Just make sure you put some good thought into your boats name. I hope that this guide was helpful to you and gave you some inspiration for your pontoons name. If you like a name which I’ve suggested, let me know in the comments! I’ll be intrigued to know what name your favorite was.